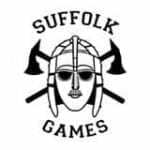 sFit ISC and CrossFit GFP have combined to form The Suffolk Games. This will be a mixed pairs indoor fitness event, consisting of 50 pairs from boxes around East Anglia. We want to make a conscious effort to make the event feel local and bring together the ties several of these boxes already have. We are also aware due to this being a one day event, travel time can sometimes play a big part in attending and planning for competitions. The event will be held at the Inspire Suffolk Dome, Ipswich which should be no more than an hours drive for the vast majority. The Dome is an ideal venue for the event, having a large floor space, ample room for seating, vendors and upstairs viewing / social area and concrete covered floor. We are really excited about the event and this is why we wanted to contact you directly rather than run qualifiers or a ballot, we would like to send you 10 invitations for 5 mixed pairs from your Box. As coaches and owners, seeing as you spend more time with your members than anyone, we feel it would be fitting for you to help decide who should have the spaces. As mentioned, we are extremely dedicated to aim the Suffolk Games at the vast majority of CrossFitters who use it as there training program but are perhaps not quite at competition level.